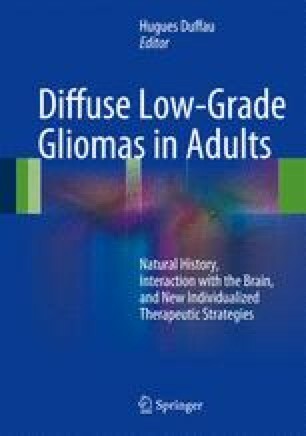 In the last decade, functional MR imaging and MR tractography with diffusion tensor imaging have changed the way to evaluate patients with glioma before surgery, in particular when the tumor is infiltrating eloquent brain structures. Mapping of cortical sites and white matter pathways may improve presurgical planning and surgical targeting with neuronavigational devices, and it may reduce intraoperative time. Clinical use of these advanced MR imaging tools is growing in importance, and exams in patients are increasingly being requested by neurosurgeons worldwide. Applications and current limitations of fMRI and MR diffusion tractography are discussed focusing on the sensorimotor, speech, and visuospatial networks. Part of this work was supported by a grant of the Consortium of Neuroimagers for the Noninvasive Assessment of Brain Connectivity and Tracts (CONNECT) team, funded by the European Commission under Framework Package 7 and a grant provided by family and friends in memory of Mr. Luca Dresti. Tortoise software v. 1.3.0 (https://science.nichd.nih.gov/confluence/display/nihpd/TORTOISE) and Trackvis software v. 0.5.2.1 (www.trackvis.org) were used to ­process DTI datasets and generate virtual dissections of the white matter tracts displayed on Figs. 20.1, 20.2, 20.3, 20.4, 20.5, and 20.6.